...Posting in support of Northeast Mississippi Community College efforts to partner w/local schools and families, giving our students the best opportunity to be successful! The Northeast Career Development Academy has opened our doors to students ages 12-18 in need. Our goal is to meet our students where they are and get them where they want to be. We are not only here for the students, but the entire family as well. We will offer parenting, financial, nutrition classes and more to the parents of our students. We can even help parents get on track to get GED/HSE and help them find a job! We want the whole family to grow and grow together. While meeting our student’s academic needs is our main priority we also help them look to the future and plan for the career of their dreams. If they don’t have a clue what they want to be then that’s fine! We will do some interest and skill surveys to help them discover their dream job. 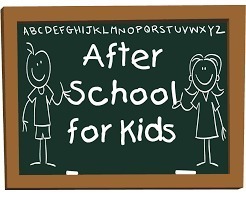 Afterschool services will be held at the NE@Corinth Extension Center from about 3:30 to 6 Monday thru Friday. It is not required for them to come every day, but I do ask that they at least try to come frequently (about 2-3 times a week). Transportation is currently available to Kossuth, Biggersville, and Corinth Students. The students will be transported to the NE@Corinth Extension Center and then will be transported back home or to a designated pick up point. Unfortunately, transportation is TEMPORARILY unavailable for the Alcorn Central campus. All of our services are FREE and we will provide a snack upon arrival after school. Our program is not only for school-bound children but children that have dropped out as well. We can help them get on track to the GED/HSE, help them set goals for future careers, and help them get a job through our workforce department. If you have any more questions, comments, or concerns please don’t hesitate to ask.